The frequency of cloned number plates is increasing dramatically in the U.K. A recent report indicated figures were up 50% in the capital. Thousands of people are being affected by this every year. You could be next. If you have ever received a PCN or penalty notice charge through the post you will know it is a dreadful feeling. The first thing you do is to try and think back to when it happened. But what if it wasn't you? What if you are being fined a hefty fee because someone has cloned your number plate? In this article, you will learn why criminals are doing this and what to do if it happens to you. So how does someone clone your number plates? It is not quite as simple as just printing number plates that look the same. In the past this was possible, however, today number plate technology is a little more sophisticated. Criminals are able to get cloned plates from illegal suppliers. Number plate recognition technology in cameras are designed to check the plates against various databases so that the DVLA know you have paid your vehicle road tax as well as invoice you for things like crossing toll bridges or invoicing you for the London Congestion Charge (LCC). Another simple way to clone your number plate is to steal it off your vehicle. Criminals also look to social media sites to see if people have posted pictures of their car. 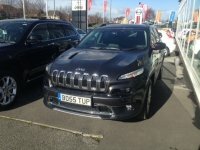 These pictures can give away a lot of information such as the number plate, colour and make of the car etc. This type of information makes it much easier for criminals to make you the next target. So be warned, never post pictures of your car and number plate on the internet or any social media site. The first step is to know the dangers in advance and make good decisions now. For example, if you have to replace a damaged number plate do not buy it from just any supplier. Make sure you always buy replacement number plates from a reputable supplier. How do you know who is reputable? These will always ask for proof of identity and ownership. True, it is a little more hassle but it is worth it to protect the industry. Buying cheaper options through the internet is a mistake and short-sighted. This makes it easier for criminals to get hold of your number plate identity. 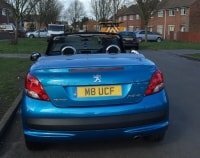 If your number plates are not right, are not clear or obscured in some way you could get fined up to £1000. If your number plate has been cloned and you are receiving fines and charges through the post, you need to act fast. It may take some time to prove you were not the driver of the vehicle causing all these fines. In the meantime, someone else is abusing your number plate. One of the fastest ways to resolve this is to change your number plate. How? Buy a custom number plate. That might sound extreme but if you've read some of the experiences people have had you will see it is a good quick fix. 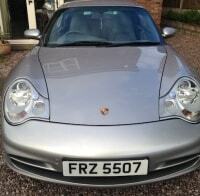 A private plate does not have to cost a fortune. Check out some options here. If your plates have been cloned you need to gather evidence that proves your vehicle was somewhere else other than the location where the offence occurred. CCTV is extremely common. You have the right to request CCTV that can help prove your vehicle was somewhere else. 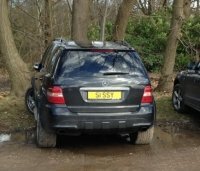 Number plates are registered with the DVLA. Get in touch with them immediately and have it recorded that your number plates have been cloned. Second, you should inform the Police as soon as possible. It is their job to track down the criminals who are responsible. Informing the DVLA and the police will all add to your evidence that you are not the guilty party. When you inform the police make sure you get a crime number. Maybe you cannot find CCTV evidence. Don't despair. you can gather evidence from other sources. For example, others may be willing to verify that you and your car were somewhere else when the crimes were committed. Make sure you get detailed and signed witness statements. This will help support the overall picture of your innocence. Depending on your vehicle it may be possible to access GPS data stored within the vehicle. This can be cross-checked with the locations of the crimes to verify that you were not in the locations those crimes were committed. Be aware that it can be a challenge to get this data. In some cases, manufacturers will only give you access to the data if the vehicle has been reported as stolen. Another line of evidence to consider is the GPS location from your smartphone. Most people have their phone on them all of the time. Some GPS apps have a location history that you may be able to use as evidence that puts you at a different location to the scene of the crime. Cloned number plates will not sort themselves out. If you have been a victim you must take action immediately and follow the guidance in this article. Do not wait. This will not sort itself out eventually. It will just get worse. Learn from others and do not make their mistakes. If you have questions get in touch with us here.